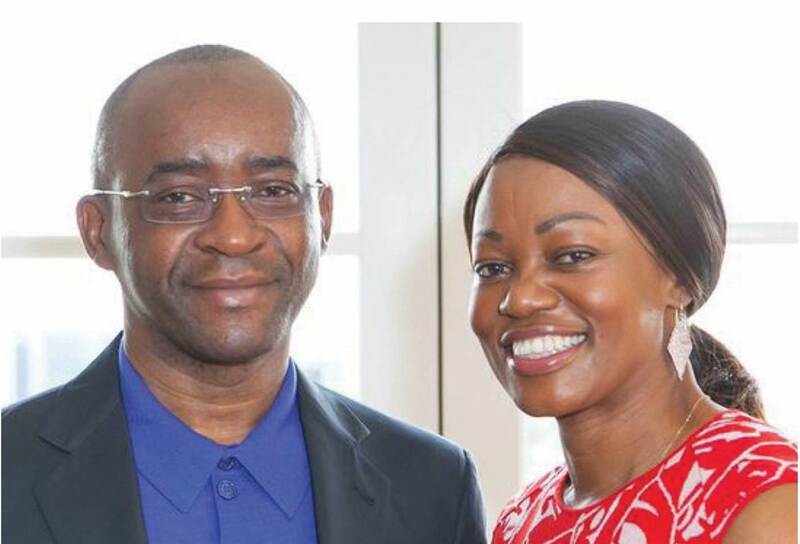 The Masiyiwa’s have been at the centre of several conversations on Twitter in the past year. Generally the couple is quite popular in Zimbabwe but recently there has been polarised opinions regarding the technology entrepreneur and his wife. Strive Masiyiwa got both very extremely positive and extremely negative reactions when he expressed that he believed President Emmerson Mnangagwa was sincere and therefore needed to be supported by the removal of sanctions. Rutendo Mandinyarare, a social media personality based in South Africa has also been making a lot of accusations against Strive Masiyiwa and his companies in the past 2 months. This led to Econet Lawyers writing him threatening to sue. In April last year Tsitsi Masiyiwa commented on Zimbabwe’s work ethic on Twitter. I doubt she expected some of the backlash she received for her comment. Some folks strongly believed that she was too ‘privileged’ to have any such opinion. The ensuing debate caught us by surprise actually, emotions seemed to run high. Some outcries and actions in pursuit of justice seem and look so right until you discover the source of the outcry and sponsor of the cause. Take a step back and reflect on some of the things we consider good and just causes. What is the bottom line? Justice is the bottom line. Whether any quest for justice emanates from a volcano or is sponsored by a storm, it remains noble and progressive. We will not tire neither shall we let injustice prevail in our midst, whatever it takes. If you are implying that all and any outcry and pursuit of justice is sponsored then that really is sad. When your husband pursued his fight to be licensed it was a just cause. In such position of privilege, you should choose your words more carefully, lest you promote injustice. Both Patson and Dewa are human rights activists in Zimbabwe. …who are the “some” & what gives Strive the notion that Tsitsi has a right to condemn the “some” without any objection from anyone? …The apoplectic response by Strive Masiyiwa is disproportionate. And it’s particularly nauseating that Strive drags Dewa’s employer into the imbroglio! Strive Masiyiwa has also left Twitter or suspended his account. You can’t find him there anymore. Sounds like it’s an interesting 2019 already. Rich people throwing cyber hissy fits. Yawwwwwwwwwn. Coming up next , North Korean leader recounts how he survived cyber bullying from Trump. Meh…. Am i the only one wondering if the $10 and $60 million are in US or Bond dollars? I think they shouldnt read much into social media; pple have the guts to type things that they cant say face to face. Not necessary to delete their accounts at all. Hey stop fighting wherever the place twitter is! Come help us fix the the economy ! We have run out of ideas already ! I don’t see enough reasons to warranty deleting of twitter accounts on the basis of people’s responses. I suppose if you you speak in public you draw comments from the public. The nature/quality of responses obviously differ from one person to the next. This action by the Masiiwas is in itself, cyber bulling. truth be told these are broke folks ranting off at rich people. The source of this is not what Mrs Masiyiwa or Strive Masiyiwa said. Its a fight of rich againtlst poor lol. Ndo zviripo Zimbabweans dont have much nice to say about rich people. Just track how the established prophets are persecuted, and other rich people are attacked. Kana usina mari nyarara hako. lol thats my advice. Dont rage out your poverty driven fury because someone said such a vague statement. Vamwe vanhu vanoda kungonzi ndakazomuidza. Hapana zvaunoziva show me the money? tione zvaunoziva. Kudos to the Masiyiwa’s. they’ve done a lot for Zimbabwe. and for them leaving, is part of *guarding the heart*. A noble decision trust me. Now the majority , have to suffer from yheir absence on twitter jist because of some guys who want to proove they are smart for nothing. with nothing to show for it. Hate it or love it. Chimboita zvekubestera vamwe mwana wevhu not zvekuudza vanhu patwitter. Dont hate rich people coz of their money. You can’t just say these are broke folk responding. 2 of the guys mentioned by Strive are actually rich. The problem is more on how we disagree as Zimbabweans. Sadly all our disagreements over political issues get personal. I was telling one of my friends that when Tsisti said Zimbos are lazy, she was simply the wrong messenger for the right message. We do know people she was referring to, it was just something hard to accept being called lazy by someone well off. I disagree with almost all of Strive’s recent political comments, but I agree that he has a rigth to his own opinion just like I do. Another issue is this is the 1st time the Masiyiwa’s have been criticized. In Econet, everything they say is treated as holly. That’s why noone stood up to them internally when Kwese was launched even though evryone internaaly knew there was no content to compete agaist MultiCHoice. Very soon you’l see cyber bullying laws being passed. Watch the space. You dont mess with influebtial people at that level withought provoking some kind of change. Someobe is going to lobby fines and enforcement against cyber bullying….its coming! You cant fight strive at that level and thibk you’l win. That man knows his God wooo! What’s wrong with the responses Tsitsi got from Dewa and Patson? As someone not on Twitter. I followed a link to a story on Clifton beach saga in Cape Town. I was so shocked to read the bile that people spew. I am not sure if it is just a South African thing or the same happens on Zim twitter (remember I am not on twitter). Whats interesting is I have white neighbors who I get along with very well. South African Twitter or the feeds I read from the story paint a different picture. All this leaves one wondering what the true reality is. I am staying away from Twitter. 1. Clifton saga was highly sensationalized/racialized by political opportunists like BLF and EFF. 2. You getting along with your neighbors does not mean people getting kicked off a public beach was ok.
3. You can’t use the Clifton saga as a Twitter benchmark and use it in comparison with the Tsitsi case. They are totally different. Check the comments for any of Tsitis’s tweet, you will not see very little vile. Most people were actually seeking understanding. Eversince Tsitsi and Strive started tweeting about politics, they have been getting a lot of lashback, a lot of it is to be expected. You can’t expect to tweet supporting ED and not get lashbacks. Just look at the demogrephics of people on Zim Twitter. They are young people mostly fed up with what’s happening in Zimbabwe. Cyber-bullying strive using his Econet network kkkk ungrateful bastards.